Today is the final day of the San Diego Indie Craft Market vendor highlights. Are you sad? I’ve had so much fun meeting the other talented women that I will be selling alongside with. 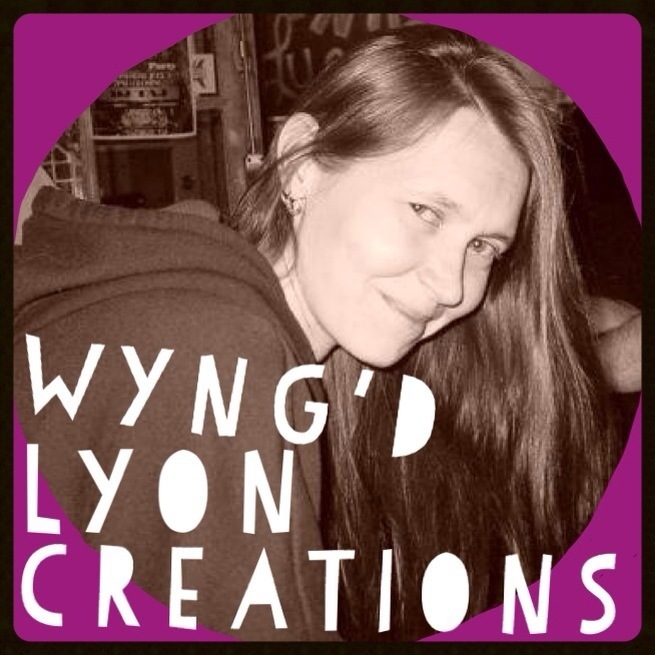 And today is no exception, so without further delay, let’s meet our final vendor, Wyng’d Lyon Creations. Please introduce yourself to the good people! My name is Colleen and I’m the owner of Wyng’d Lyon Creations. I started sewing at the age of 7 and haven’t stopped since. 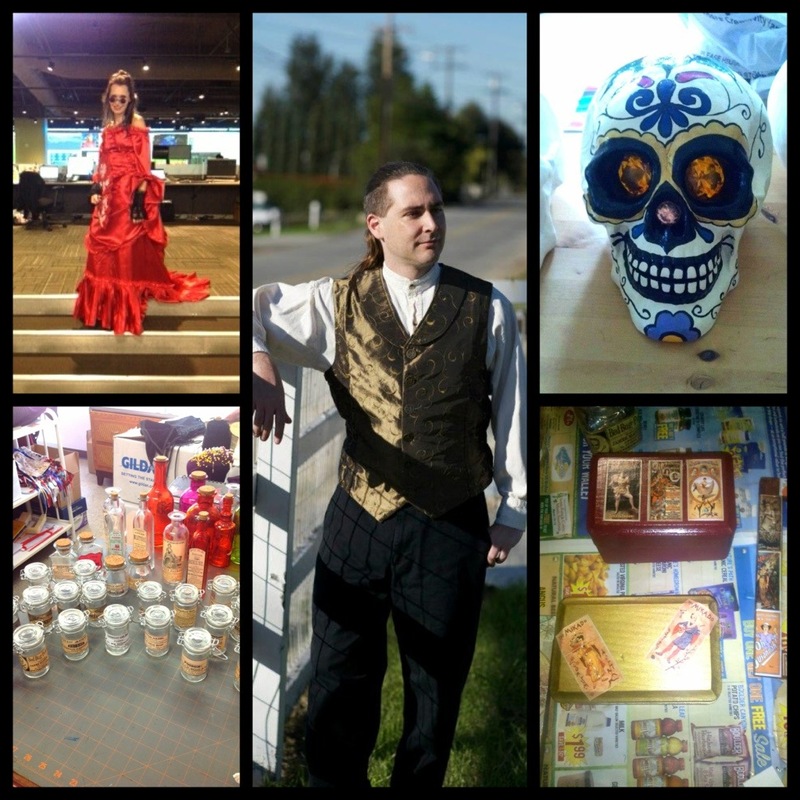 Wyng’d Lyon has been my creative outlet to the public for over 12 years now and my creations vary from simple doll clothing to elaborate Halloween and Victorian costumes. I also I like to dabble in the world of painting, wood burning, needle work and other various arts and crafts. My business has taken over so much of my home, I actually took a leap of faith and moved my entire operation to an off site space where I do all my sewing and meet with clients by appointment. In addition to my creative process, I also carry handmade art and other creations from some close friends. And what type of treasures do you make? A little bit of everything. Though, mostly I make men’s Steampunk clothing and accessories, apothecary bottles, wood burned and painted boxes, and whatever other works of art my brain comes up with. What are your favorite materials of choice and what do you like to create with them? My favorite material would be fabric, mostly natural fibers, like silk, cotton, linen as well and working with various brocades.History is my biggest influence and inspiration for creating things. I love the time and artisan work that is put into things in the past and their general durability and craftsmanship. Care to show us your five favorite creations? 1.) Mina dress (not for sale), 2.) men’s vests, 3.) decorated boxes, 4). apothecary bottles, and 5.) Day of the Dead skull. And lastly, where can the good people find you online? Stop by this Sunday’s San Diego Indie Craft Market (info here: https://www.facebook.com/SDIndieCraftMarket) and say hello to Colleen! You can also visit Wyng’d Lyon’s Etsy shop by clicking here: http://www.etsy.com/shop/wyngdlyon. And don’t forget the importance of buying handmade!